Historical Data and CDAA photos for Winter Harbor, Maine. 1944 LINK to a story from Nov 1944. 1968 Basketball and Baseball Team photos from Ken Ray. 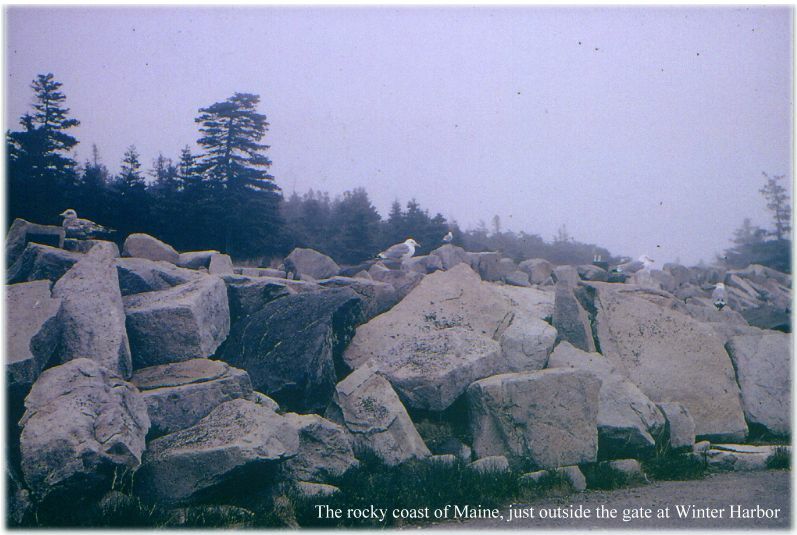 1969 Rocky Coast outside Winter Harbor gate from Bob Spurlock. 1971-1972 Cajuns Basketball photo and NSGA Winter Harbor section 3 party from Lincoln Grimm. 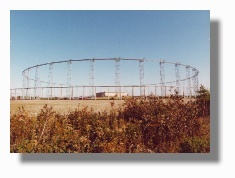 1976 Scenic photos (4 of them) from John Marks. 1976 Welcome Aboard booklet (Sep 1974) from Don Mickelsen. 1976 Welcome Aboard booklet (May 1975) from Don Mickelsen. 1976 "Acadian" newspaper of 13 August 1976 from Don Mickelsen. 1976 "Acadian" newspaper of 24 September 1976 from Don Mickelsen. 1976-1979 Schooner Club menu from Don Mickelsen. 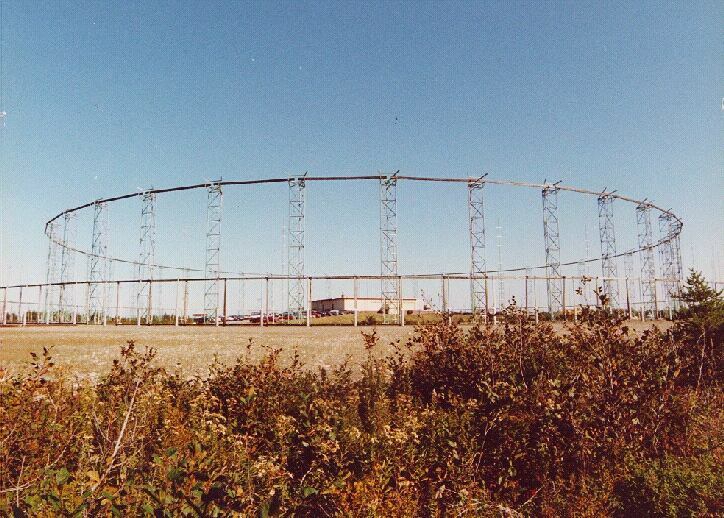 1978 Photo of both "Sites" from Dale Maas. 1978 NSGA phone directory of February 1978 from Don Mickelsen. 1978 "Acadian" newspaper of 17 February 1978 from Don Mickelsen. 1978 "Acadian" newspaper of 17 March 1978 from Don Mickelsen. 1978 "Acadian" newspaper of 14 April 1978 from Don Mickelsen. 1978 "Acadian" newspaper of 28 April 1978 from Don Mickelsen. 1978 "Acadian" newspaper of 9 June 1978 from Don Mickelsen. 1978 "Acadian" newspaper of 4 August 1978 from Don Mickelsen. 1978 "Acadian" newspaper of 18 August 1978 from Don Mickelsen. 1978 "Acadian" newspaper of 29 September 1978 from Don Mickelsen. 1978 "Acadian" newspaper of 22 December 1978 from Don Mickelsen. 1979 "Acadian" newspaper of 12 January 1979 from Don Mickelsen. 1979 "Acadian" newspaper of 26 January 1979 from Don Mickelsen. 1979 NSGA phone directory of February 1979 from Don Mickelsen. 1979 "Acadian" newspaper of 9 February 1979 from Don Mickelsen. 1979 "Acadian" newspaper of 23 February 1979 from Don Mickelsen. 1979 "Acadian" newspaper of 23 March 1979 from Don Mickelsen. 1979 "Acadian" newspaper of 20 April 1979 from Don Mickelsen. 1979 "Acadian" newspaper of 04 May 1979 from Don Mickelsen. 1979 "Acadian" newspaper of 18 May 1979 from Don Mickelsen. 1979 "Acadian" newspaper of 29 June 1979 from Don Mickelsen. 1982 "Acadian" newspaper of June 1982 from Mark Sobczak. Nov 1986 "Acadian" newspaper of November 1986 from Leo Leamy. Feb 1987 "Acadian" newspaper of February 1987 from Leo Leamy. Mar 1987 "Acadian" newspaper of March 1987 from Leo Leamy. Apr 1987 "Acadian" newspaper of April 1987 from Leo Leamy. May 1987 "Acadian" newspaper of May 1987 from Leo Leamy. Jun 1987 "Acadian" newspaper of June 1987 from Leo Leamy. Jul 1987 "Acadian" newspaper of July 1987 from Leo Leamy. Aug 1987 "Acadian" newspaper of August 1987 from Leo Leamy. Sep 1987 "Acadian" newspaper of September 1987 from Leo Leamy. Oct 1987 "Acadian" newspaper of October 1987 from Leo Leamy. Nov 1987 "Acadian" newspaper of November 1987 from Leo Leamy. Dec 1987 "Acadian" newspaper of December 1987 from Leo Leamy. Jan/Feb 1988 "Acadian" newspaper of January/February 1988 from Leo Leamy. Mar 1988 "Acadian" newspaper of March 1988 from Leo Leamy. Apr 1988 "Acadian" newspaper of April 1988 from Leo Leamy. May 1988 "Acadian" newspaper of May 1988 from Leo Leamy. Jun 1988 "Acadian" newspaper of June 1988 from Leo Leamy. Jul/Aug 1988 "Acadian" newspaper of July/August 1988 from Leo Leamy. Sep 1988 "Acadian" newspaper of September 1988 from Leo Leamy. Oct 1988 "Acadian" newspaper of October 1988 from Leo Leamy. Nov/Dec 1988 "Acadian" newspaper of November/December 1988 from Leo Leamy. Jan 1989 "Acadian" newspaper of January 1989 from Leo Leamy. 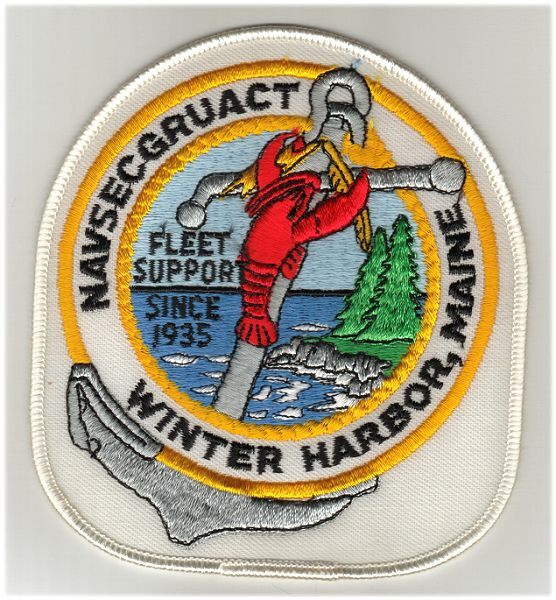 1995 NSGA Winter Harbor, Maine "Special Anniversary Edition - 60 years in Winter Harbor" from Mark Sobczak. 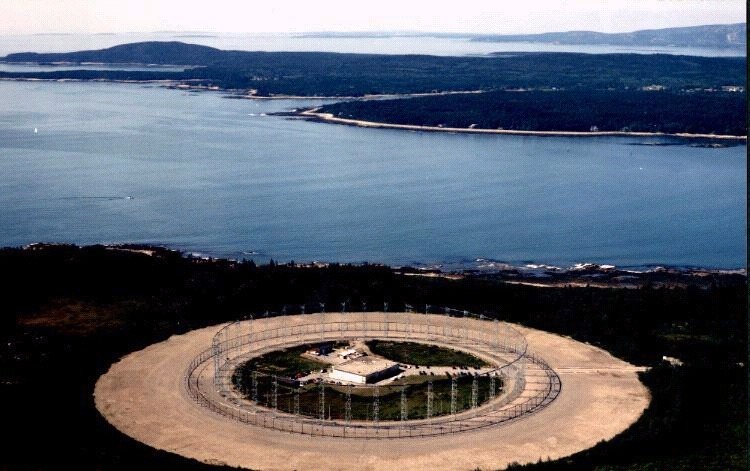 Aerial Photo of the Corea Site(s) from Vance Lessard. 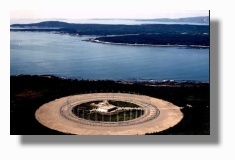 Oct 2001 Acadia National Park from Les Smallwood. Oct 2001 Around Winter Harbor from Les Smallwood. 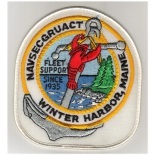 Goodbye Winter Harbor OPNAV Notice 5450 closing station on 30 June 2002. Winter Harbor 2008 photos from Chuck Murphy, CTTCM, USN Retired.